Ghigos Group was born in 1998. Mission of the group is to create a place for debate and confrontation, characterizing itself through the exchange of knowledge, competences, and information. Since his inception, Ghigos Group has explored new fields of research, pursuing the dissolution of the disciplinary borders like opportunities of critical reflection on project issues. Ghigos Group’s exhibitions, installations, and projects have been mentioned in national and international competitions, and published on the main Italian magazines. Ghigos Group become an architectural firm, Studio Ghigos, in 2004. 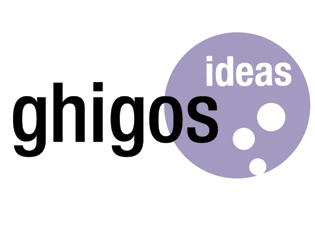 Ghigos Ideas maintains and shares mission, vision and interdisciplinary approach of the parent group, handling projects of different scale in various areas: from the exhibit to the graphic, from the design to the architecture: “blinking at” the art.